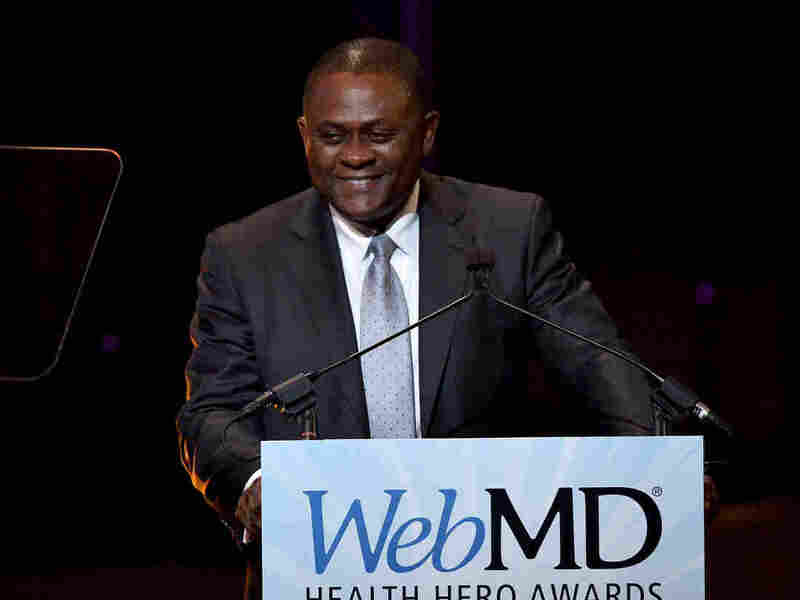 Dr. Bennet Omalu, Doctor Behind 'Concussion' Movie, Wants To 'Enhance The Lives' Of Football Players Dr. Bennet Omalu's discovery of a new degenerative brain disease among football players inspired a movie — and the wrath of the NFL. Dr. Bennet Omalu speaks on stage during the 2015 Health Hero Awards hosted by WebMD on Nov. 5 in New York City. The new Will Smith movie Concussion has put the spotlight back on the dangers of football. Smith portrays Dr. Bennet Omalu, the Nigerian immigrant who was the first to publish research on the degenerative brain disease he called chronic traumatic encephalopathy, or CTE. Omalu, a forensic pathologist, noticed something strange in 2002 when performing an autopsy of Mike Webster, a famous former player for the Pittsburgh Steelers. In the years following his retirement, Webster suffered from mental and financial problems. He died at age 50 of a heart attack, Omalu said. Omalu expected Webster's brain to look like that of a boxer with dementia pugilistica, but it looked normal. "I remember that moment very vividly. I was so downcast; totally confused. And I felt I had let down Mike Webster," Omalu recalled. Omalu took it upon himself to find the source of Webster's mental problems in the years before his death. A deeply religious man, Omalu believes the spirit is alive after death, and talks with his "patients" accordingly. "I said to him, 'Mike I will get to the bottom of this, I think there is something wrong with you.'" Omalu ordered special tests, and even took the brain home for six months to investigate. When looking through stained slides, he told GQ he discovered accumulations of tau proteins, which are associated with diseases like Alzheimer's. He searched the scientific literature for similar cases involving football players, but found nothing. This was a new disease, and needed a new name. Omalu settled on chronic traumatic encephalopathy. "Chronic means long term," Omalu says. "Traumatic means associated with trauma. Encephalopathy means a bad brain." The goal, Omalu said, was to "brand" the term CTE — not to sell anything, but to create awareness. "It was more likely to be impactful," he said. "If I had just published it as a case report without a name in a scientific journal, it would have just fizzled, and become swallowed up by the body of existing literature." He found that repetitive impact to the head, like the players take in football, causes microscopic injuries in the brain. Hundreds of these blows over time cause permanent brain damage. "Sometimes it may take weeks, months, years, decades, sometimes up to 40 years later ... and you will now begin to manifest with symptoms like mood disorders, major depression, suicidal attempts, suicides, loss of intelligence ... you begin to lose your learned behavior," Omalu said. 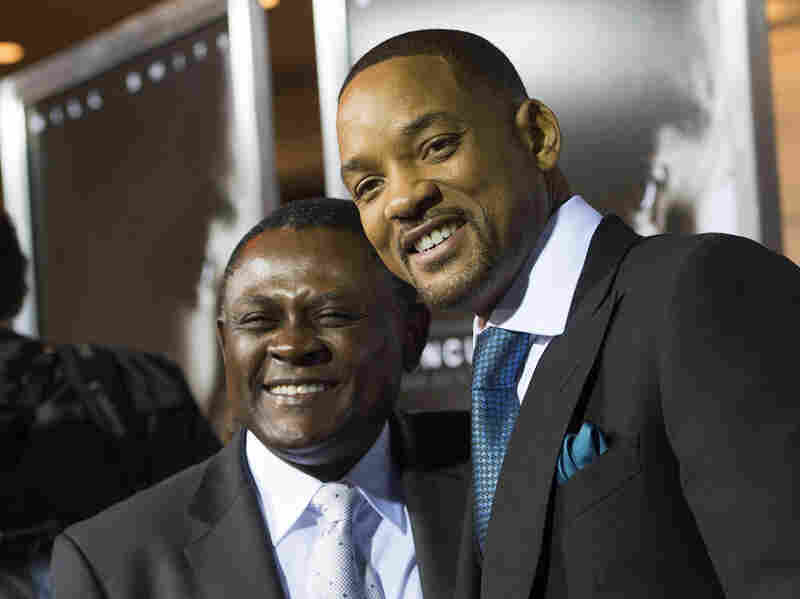 Dr. Bennett Omalu and Will Smith attend a screening of Concussion in Westwood, Calif., on Nov. 23. Omalu's research on CTE had an impact, but not the one he expected. When the NFL responded aggressively, he was genuinely surprised. He thought professional football would welcome his research as a way to "enhance the lives and safety and health of the players," Omalu said. "The NFL made a very calculated attempt, very mean attempt to decapitate me professionally," he said. "They sent a very, very strong letter accusing me of fraud. Accusing me of practicing something that was not science, insinuating I was a voodoo doctor. Calling me all types of names." Still, Omalu said he never considered retracting his research. "I had met the families of the sufferers of this disease. They were suffering in silence, they were suffering in obscurity. And it offended my sense of America. ... I used my knowledge and education ... to become the voice for the voiceless. To make a difference and enhance the lives of these players." Omalu said he's happy with the way Concussion tells his story. He said he was involved in the whole process of production and wanted to ensure it was historically accurate. And how about Will Smith playing him on the big screen? "I think Will Smith did a phenomenal job. Will Smith's acting reaffirms my belief in the American perfection," Omalu said.